Who does Vino Amore benefit? The Bakersfield East Rotary Club Foundation is the primary beneficiary of net proceeds raised from Vino Amore. 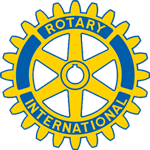 This signature event is planned by Rotarians from the Bakersfield East Rotary Club and friends who generously donate their time and resources to make the event successful. Fund raised go to support the 5 avenues of service Rotary of Bakersfield East provides. These five avenues, Club Service, Community Service, International Service, Vocational Service, and New Generations are the focused ways Rotarians make a difference in our club, community, and world. For more information about the good work the club is doing please visit our webite. Located at Bakersfield Memorial Hospital, the Bakersfield Ronald McDonald House is a place where the families of Kern County pediatric patients at any hospital can go to take a break from the hospital environment. It serves as a home away from home that gives the non-hospitalized part of the family a sense of normalcy in a time when their world is upside down. Keeping families close to each other and the care they need is a goal of the Bakersfield Ronald McDonald House. For more information please visit their website. The Valley Fever Americas Foundation was founded by Bakersfield Rotarians concerned about the impact of Valley Fever on our community and on all endemic regions. Due to the nature of the disease, the only practical way to prevent Valley Fever is through development of a vaccine, a project the foundation has been devoted to promoting since its inception. Until a vaccine and cure are available, our organization recognizes the critical role that awareness plays in the prevention and early diagnosis of Valley Fever. Understanding the conditions in which Valley Fever is most likely to be contracted can prevent further suffering and loss throughout our community, and being familiar with its symptoms empowers victims of this disease to be diagnosed early and increase their chances of making a full recovery. To sponsor the event enter your contact information here and we will contact you. 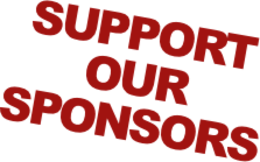 If you'd like to sponsor the event now or simply donate and pay with credit card online you can use our link below. You do not have to have a paypal account to use the link.